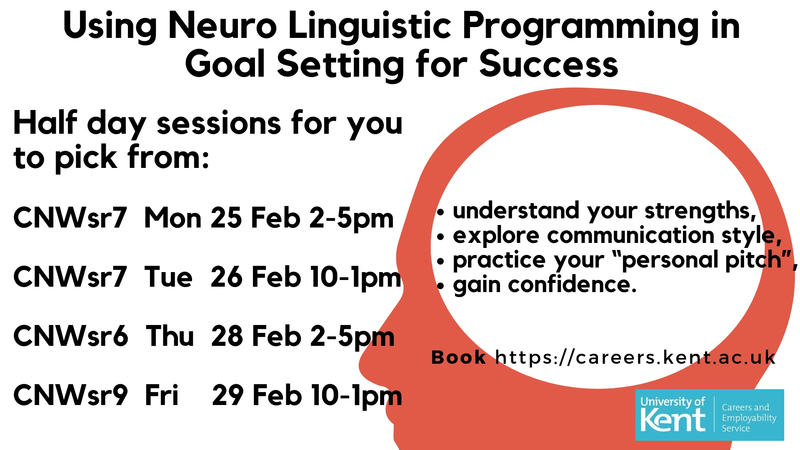 For more details about each event, and to book your attendance, head to the CES’s TargetConnect site. 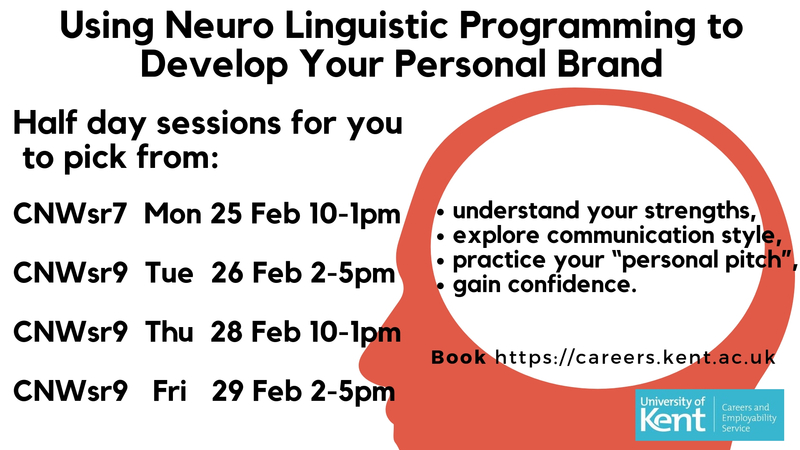 The Careers and Employability Service has set up its Don’t Panic Bootcamp – a series of skills sessions and workshops intended for anyone who would like to refresh their understanding of some core employability skills and ensure they are prepared the world of work. 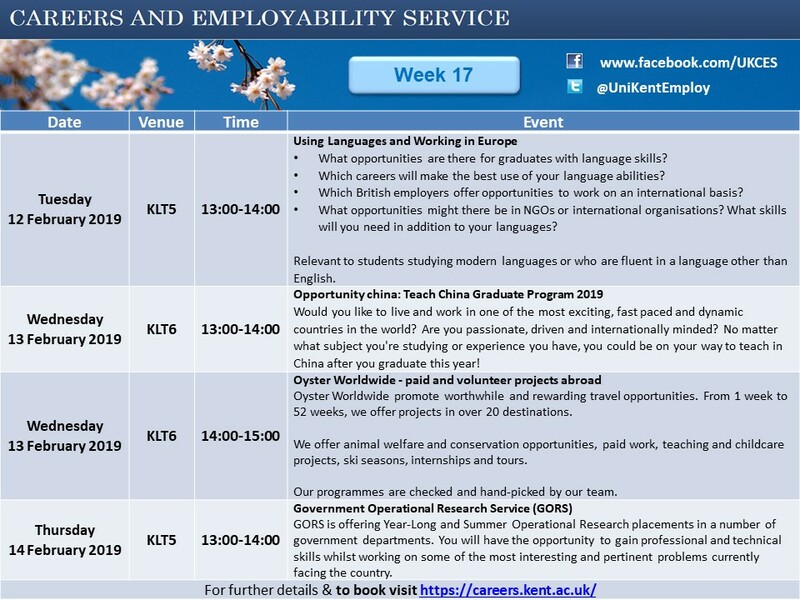 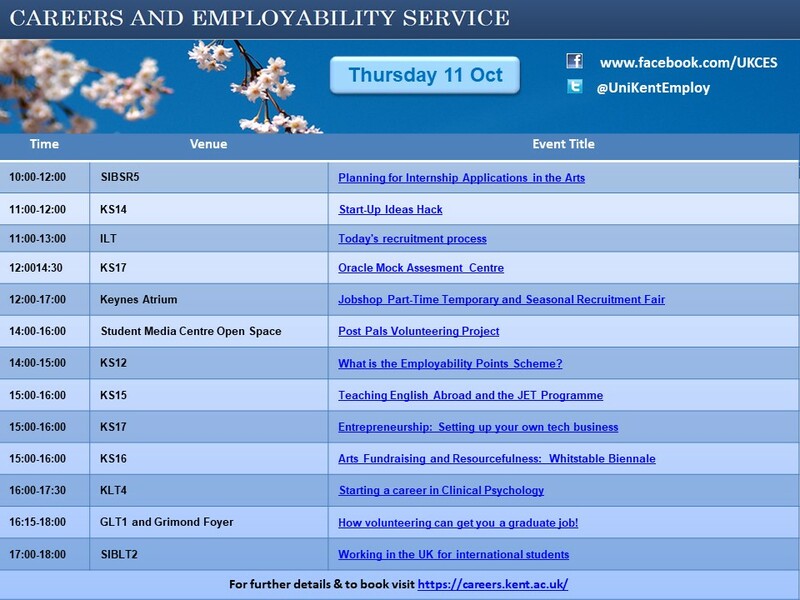 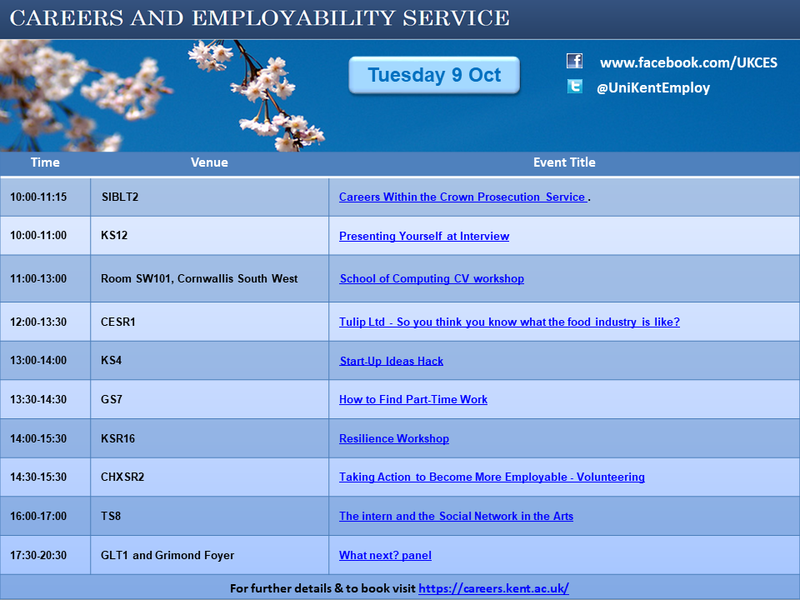 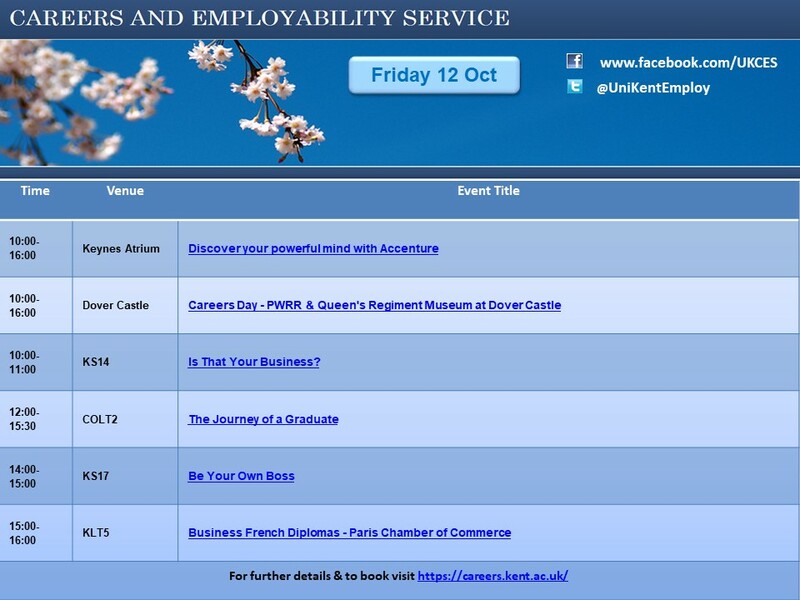 For more information and to sign up for any of these sessions during the summer term, head to https://careers.kent.ac.uk. 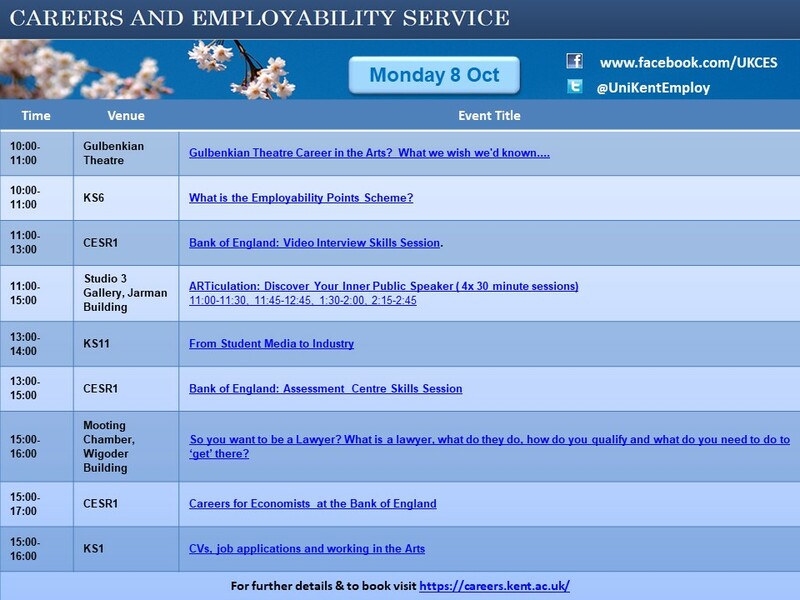 In order to streamline some of the services offered by the Careers and employability and look at staff efficiency, the drop in service has been reviewed and has now been replaced with bookable quick advice appointments. 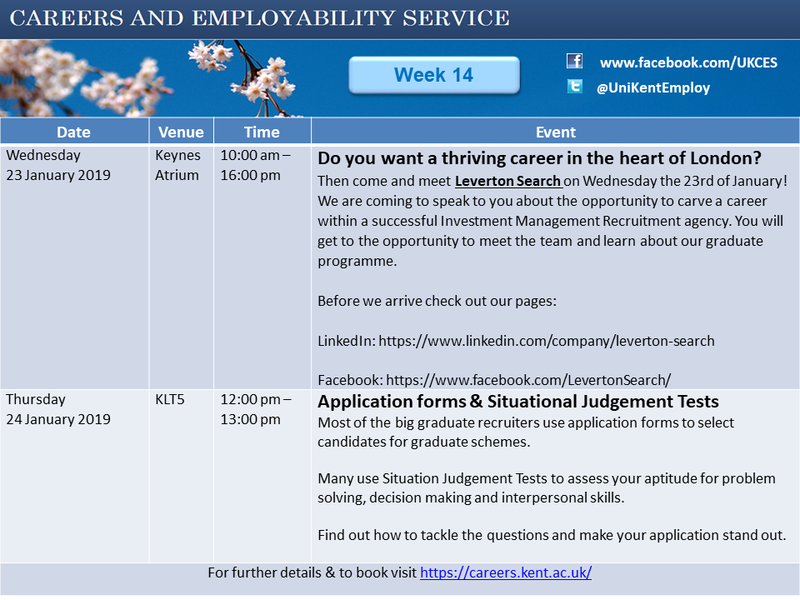 Students can now book a 15 minute appointment for feedback on CV’s, application forms, cover letters and personal statements and advice on job hunting and interviews. 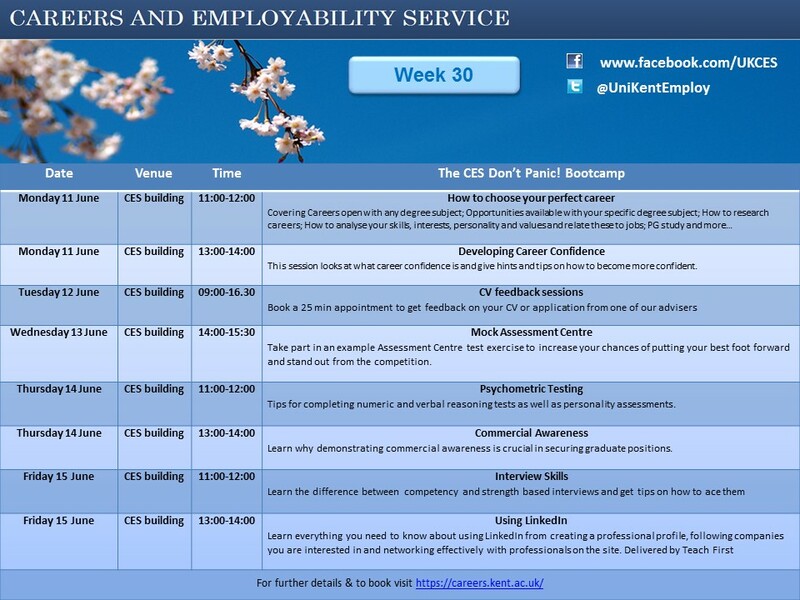 Appointments are available during the following times: Monday-Friday 10.30am-12.30pm and 2:00pm-4:00pm. 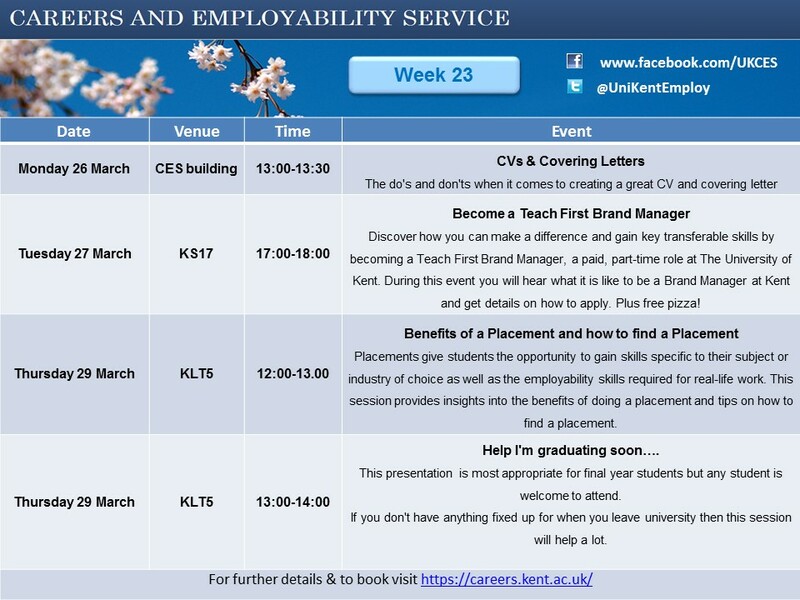 This new service is a pilot and reviewed after a period of time to ensure it is working for both students and staff. 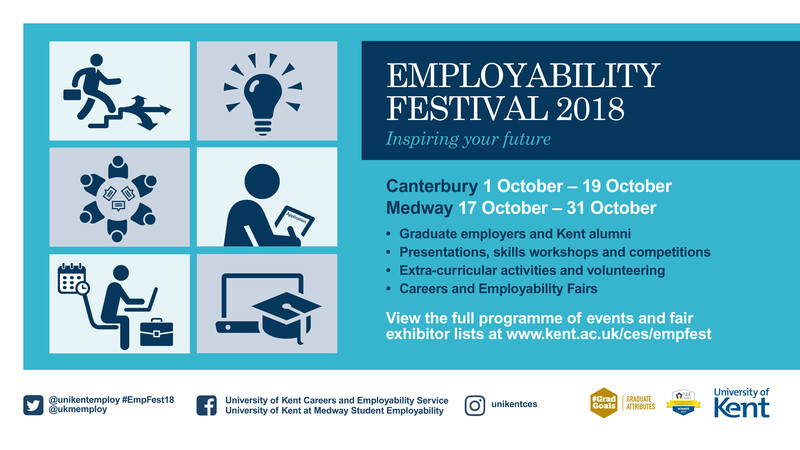 The Careers and Employability Service stand can also be found on Tuesday and Thursdays from 12-2pm on the Plaza to offer support, information or advice and to answer any questions about our services. 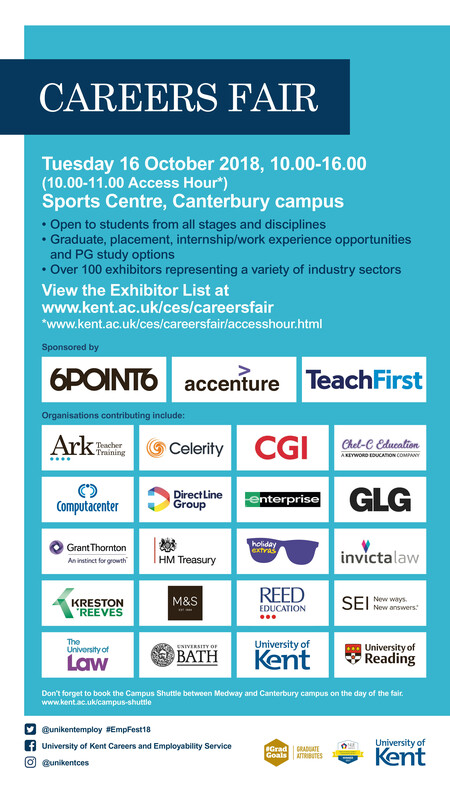 Come and say ‘hi’!